Browse content similar to 20/03/2018. Check below for episodes and series from the same categories and more! of misusing data from facebook. of 50 million Facebook users. We will have the latest. in a river in Cardigan in Wales. to a rate of 2.7%. white rhinoceros has died in Kenya. to the BBC News at One. the 2016 US presidential election. Cambridge Analytica from its site. ethics and the law remains strained. publicly. He has not said a lot. happens after it has been shared. Paul Adams has the latest. around 80 people are on the move. last Friday for the departing staff. in the future diplomatic couriers. to take future action in the future. digital media, almost 800 exhibits. insist it is entirely blameless. disrupting lives and severing ties. Richard Galpin, is in Moscow. United Russia, the main party. wants access to European markets? Norman Smith, thanks very much. in a river in Cardigan. the car in the River Teifi. of her injuries in hospital. issued an appeal for witnesses. unable to revive the toddler. paying tribute to his daughter. them and their young families. how exactly this tragedy unfolded. than expected fall in inflation. down from 3% in January. the cost of that come-down. prices is much less of a threat. to a Six Nations campaign. to help prevent a terror attack. or behaviour and report it. at a gay pride event. he'd researched how to make a bomb. is how they can do just that. of the jigsaw they need. targeting the city of Austin. in a total of four explosions. Gary O'Donoghue in Austin, Texas. to help them into work. Nikki Fox has more details. Work is hugely important to me. to be able to support myself. to replace his ageing wheelchair. that you do need support. of support through Access to Work. and that comes at a higher cost. regardless of how much the costs. will call this a U-turn. and getting a good job. keeping his own wheelchair going. will now benefit from the increase. roads are now becoming unsafe. that we are talking about. are going to be completely ruined. They are atrocious, the roads. Both have been recently injured. with the cars being on the right. And I went down quite hard. of 25, 26 miles an hour. It's been quite an ongoing thing. the big fix says this. the current road repair backlog. of life left in them. when we were saying one in six. Our roads are getting worse. to £300 million to help do the job. from a council in compensation. on Tinder as an eligible bachelor. But the gene pool is small. which has never been tried. extinct in the wild in 2008.
have died of old age. Sudan had been sick for some time. armed guard 24 hours a day. rhinos left on the planet. because he died of old age. Time for a look at the weather. is it something I said?! milder air, it is not all that warm. so it's goodbye from me. 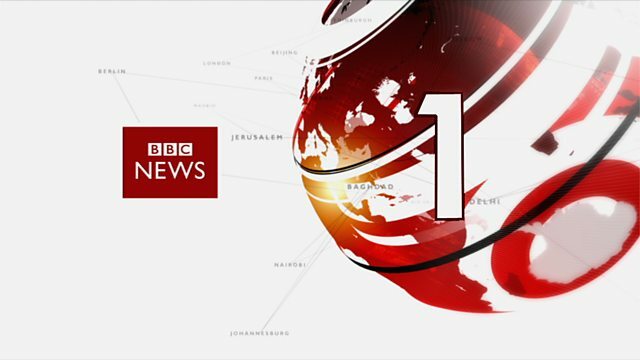 the BBC's news teams where you are.